It is a memorable moment in the history of cinema. After 54 years of his career, American movie actor Morgan Freeman finally received the Life Achievement Award from the Screen Actors Guild of the United States. But his outfit has definitely caught us all off guard: the star took the stage in a classic black tuxedo and a baseball cap! Lift up your hat! There we go. Now we can see you. You have no idea how long I had to put up with that! Actually, Moreno was not the only one who could not but wonder why the beloved actor was accepting such an honorable reward in an unexpected fashion accessory. A baseball cap is, of course, not an appropriate attire for the official black tie dress code, but Freeman's admirers were quick to defend him. As a genius actor known for his godly roles, Morgan could wear whatever he wanted to, and this is the opinion most of his devotees hold. Following the event, Freeman’s fans rushed to Twitter to congratulate the legend. 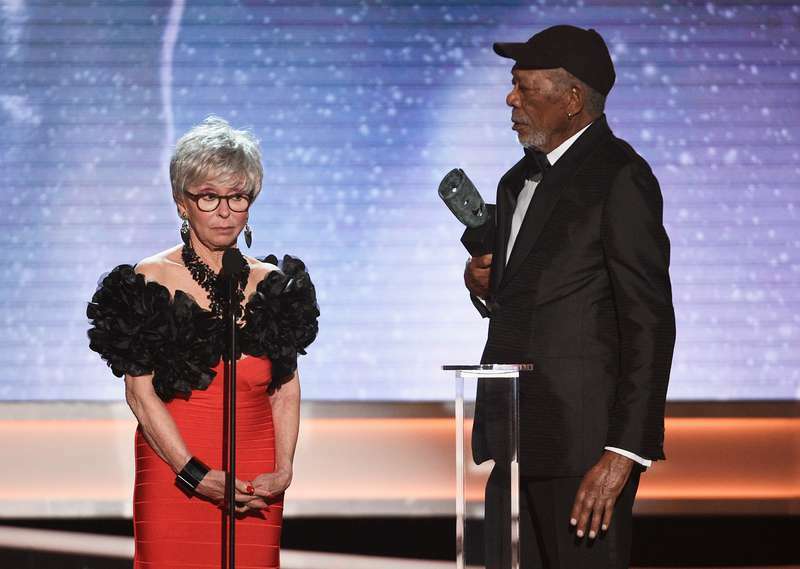 Why is Morgan Freeman wearing a baseball hat to his SAG Life Achievement Award presentation? Because he's Morgan Freeman, aka "God," and he can do whatever the hell he wants. While accepting one of the entertainment industry’s highest rewards, the screen veteran thanked his friends and colleagues and also acknowledged how important it was for him. This is beyond honor. This is a place in history. The only thing the actor did not like was the SAG statue itself because he believed it was gender specific from the front.